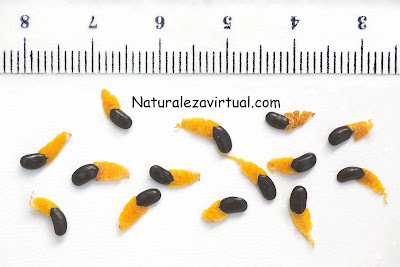 Carob seeds sprout so easy. 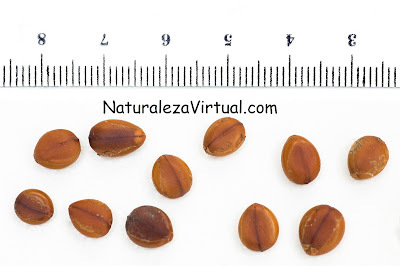 We can accelerate the sprouting by putting the seeds in hot water for some minutes. Lay out the a seeds 1 cm apart on the surface of the sand mixture. Push the seeds into the surface of the mixture with the flat of your hand. The temperature should be 15-20 ºC, 59-68 ºF. 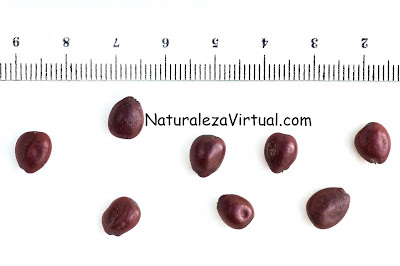 The germination will occur on 3-6 weeks. Keeping the soil wet is an easy job. You can mist the seeds whenever the soil dries out, or you can drape a sheet of plastic wrap over the nursery. We sowed 7 Carob seeds on 12th December. This picture was done on 12th January. 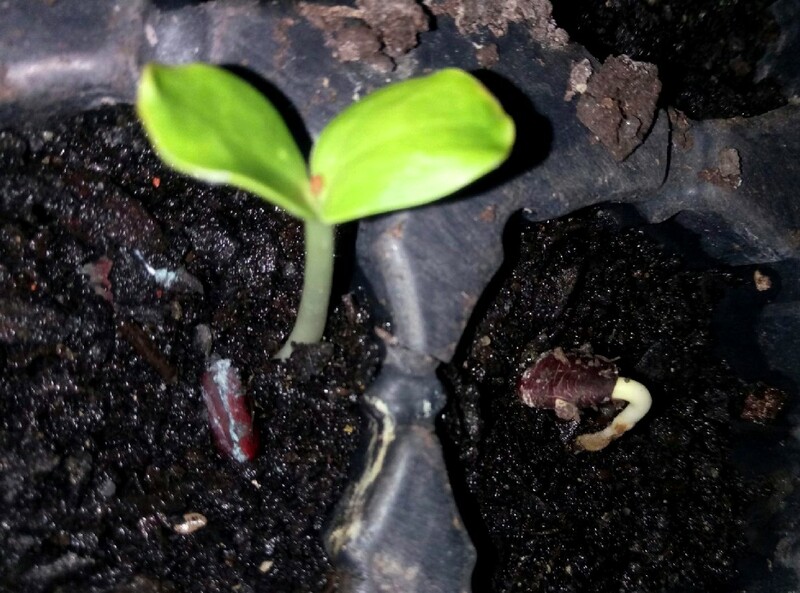 The first seed sprouted on 2th January. All of them sprouted at the end.